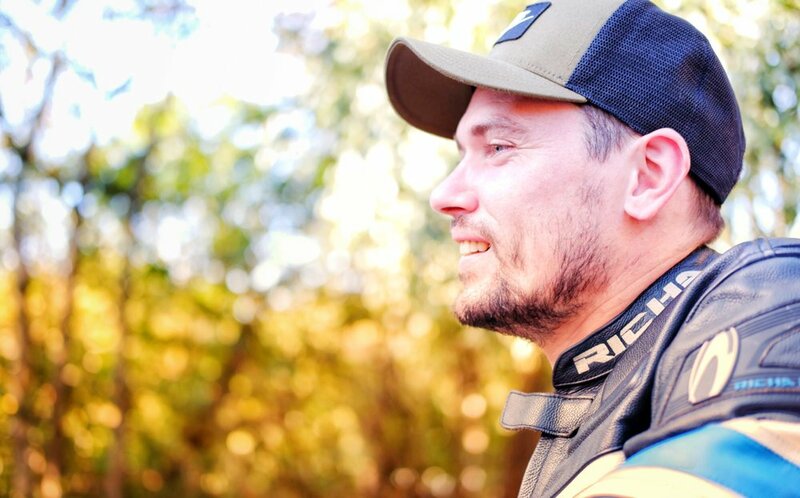 I have always wanted to ride a motorbike but due to my father shattering his wrist in an accident, I have been encouraged to stay on four wheels rather than two. Last year I got a job in the centre of London and realised that it was far more economical and comfortable to commute on a small bike than on the train/underground, so I got my CBT. I thought this would be enough but I very quickly became bored of the Chinese 125 I had been riding and within 3 months I had a full license and an adult bike. I am now hooked. I am so excited to be partaking in this project with my 2 biking bros and for such a great cause. Xav is someone I respect and look up to because of how positive and strong he has been despite his beautiful son Henri being diagnosed with Angelman Syndrome. He is a true inspiration. We have been good friends for a very long time and he has helped me through some very dark days. I am so honoured to be involved in raising awareness for Angelman Syndrome which in turn will hopefully help people in a similar situation to Xav, to stay as strong as he has.